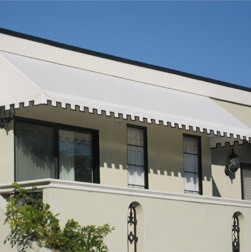 The addition of an awning to your home provides a lasting impact. Designed to complement any style, from traditional to modern, an awning is an easy way to beautify your home. Acme Awning provides customized equipment covers, shade screens, canopies and many other fabric products for commercial and industrial use. 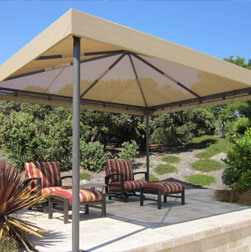 Acme Awning carries the top performing retractable awnings. 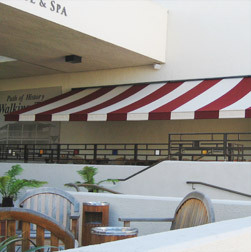 With wind engineering, powder coated components, a 10 year warranty and much more, these retractable awnings will withstand the elements and endure for years to come. Combining functionality and style, our custom awnings will revitalize any residential or commercial space with lasting benefits. 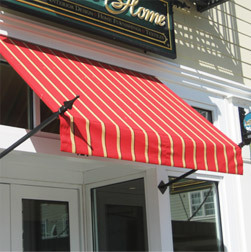 Whether you are looking to enhance the architectural features of your home, create a vibrant first impression for your business, or protect your interior space from the sun, Acme Awning’s award-winning design and craftsmanship will be customized to your specific needs.